We all knew this move was coming. 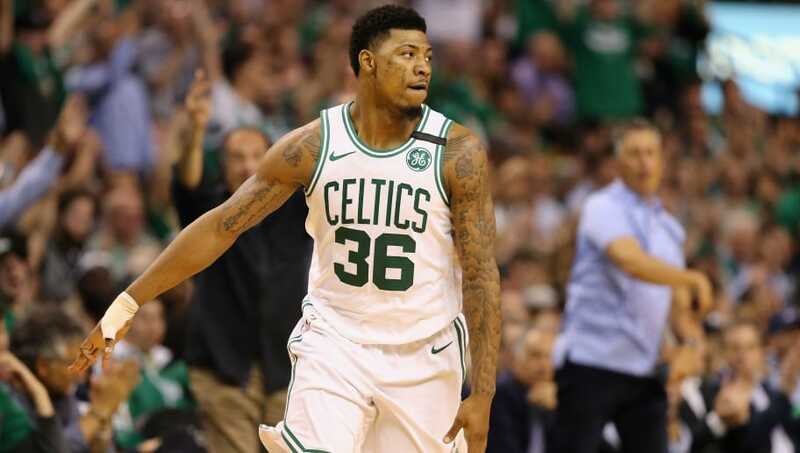 ​The ​Boston Celtics have extended a qualifying offer out to guard Marcus Smart, making him a restricted free agent this summer. The move is simply procedural, as there is still no indication how far Boston is willing to go in terms of matching contracts from other teams. The qualifying offer of roughly $6 million is assumed to be exceeded by other teams in an attempt to draw the 24-year-old defensive stalwart. The Boston Celtics have tendered a qualifying offer to Marcus Smart. He's now a restricted free agent. The Celtics can match any offer sheet Smart signs with another team. Boston has been linked to certain trade rumors surrounding Kawhi Leonard, but there has been no indication that GM Danny Ainge is willing to forfeit one of either Jayson Tatum or Jaylen Brown for Leonard. There have also been murmurs about the Celtics trying to lure LeBron James, but that seems like a long shot. The market for Smart will surely be abundant, as he is still young and has time to grow offensively, while already giving teams the physicality and defense to contribute immediately. A backcourt of Devin Booker and Smart doesn't sound too bad. Might make for some decent nicknames too. Book Smarts anyone?